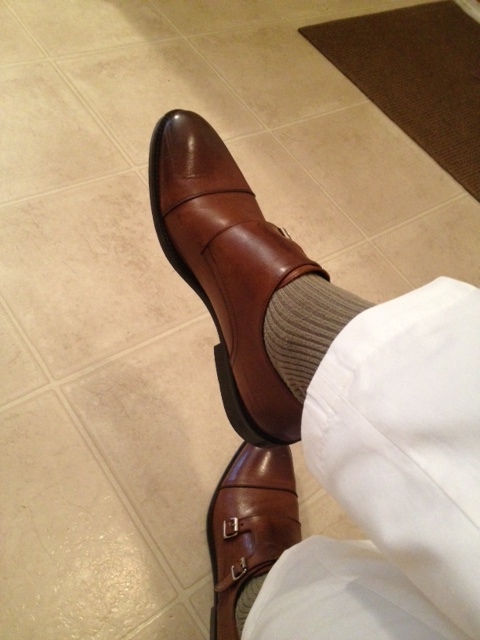 Cap toe double monk strap slip-ons by Adam Derrick To Boot New York. 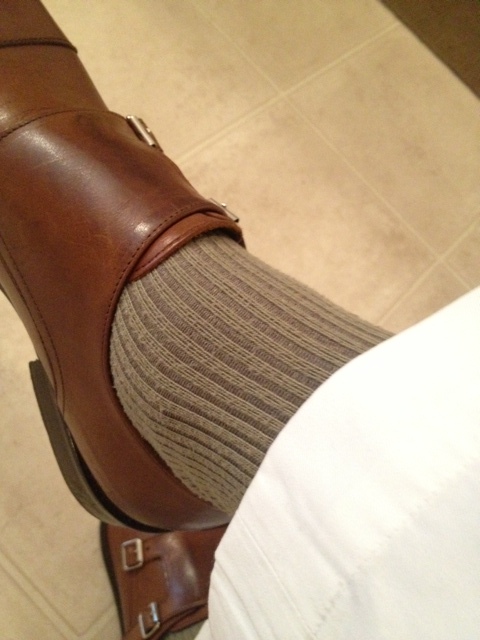 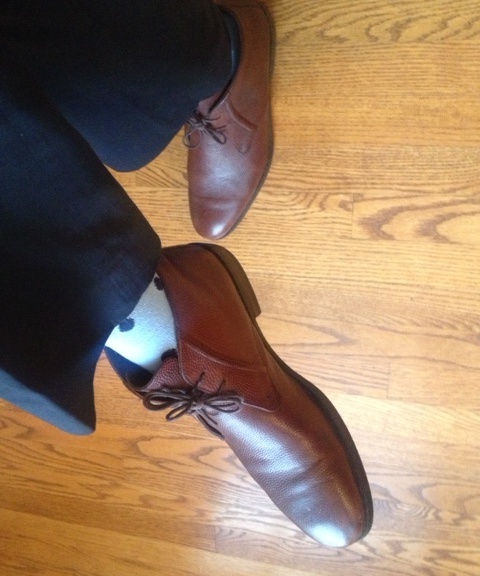 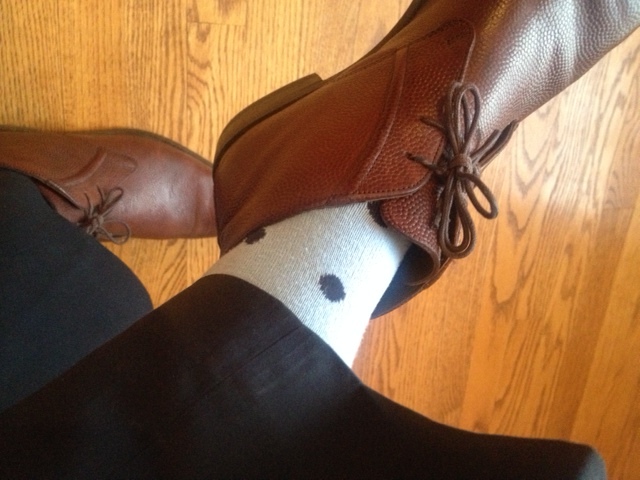 Cashmere dress socks are by Club Room. 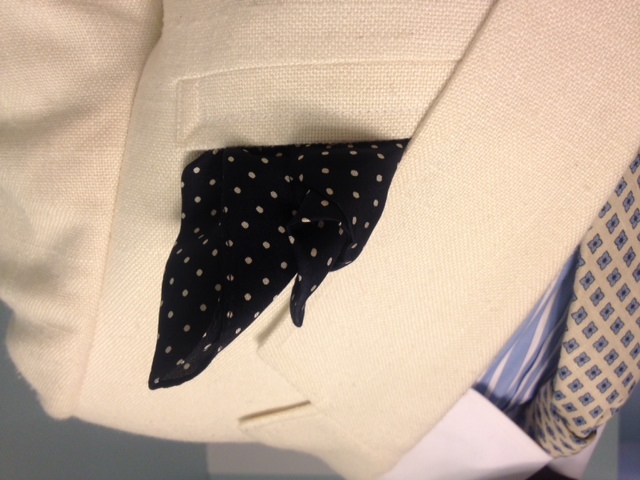 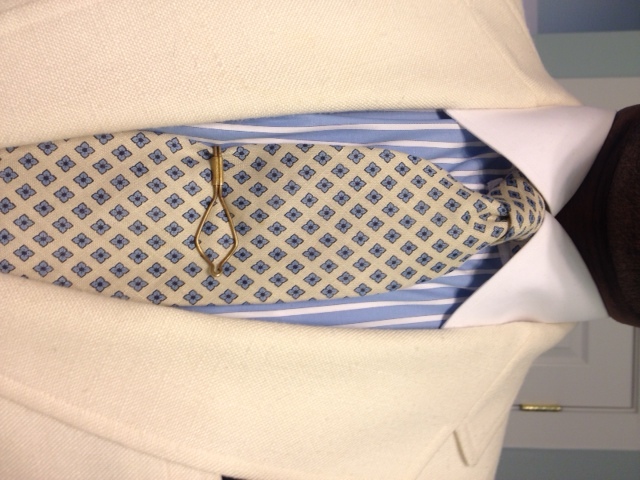 Paisley neck tie by Geoffrey Beene. 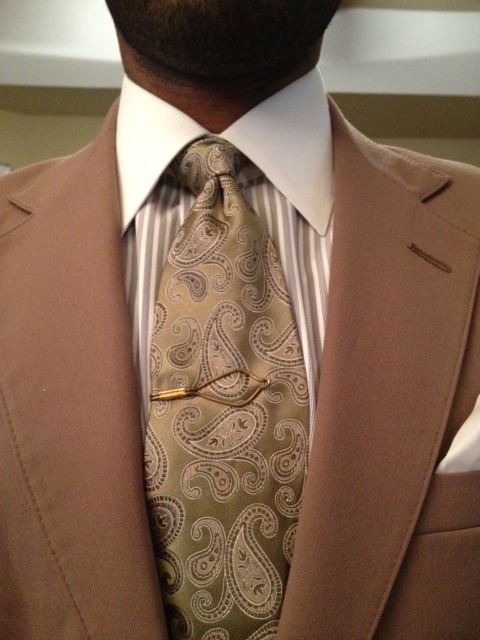 Brass tie bar is from Hong Kong Vintage. 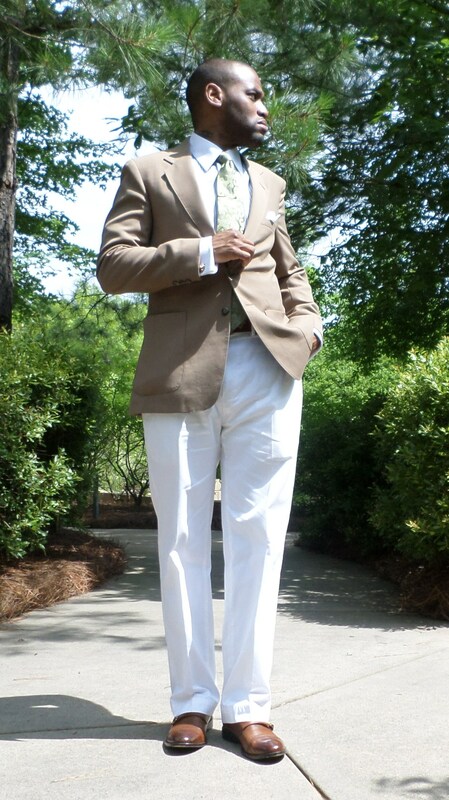 Stripe french cuff dress shirt with white contrast collar is a thrifting find. 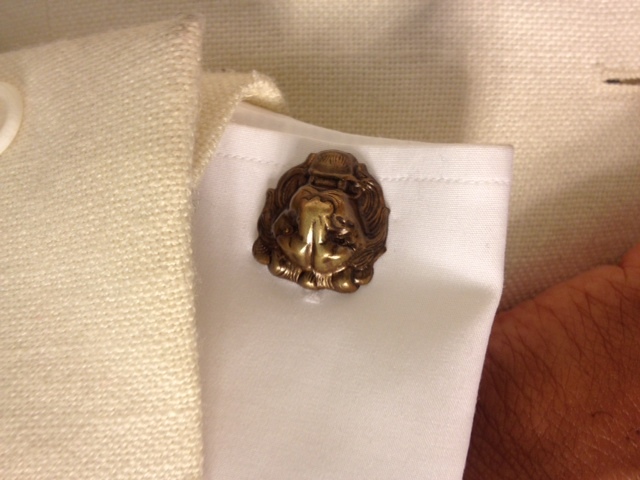 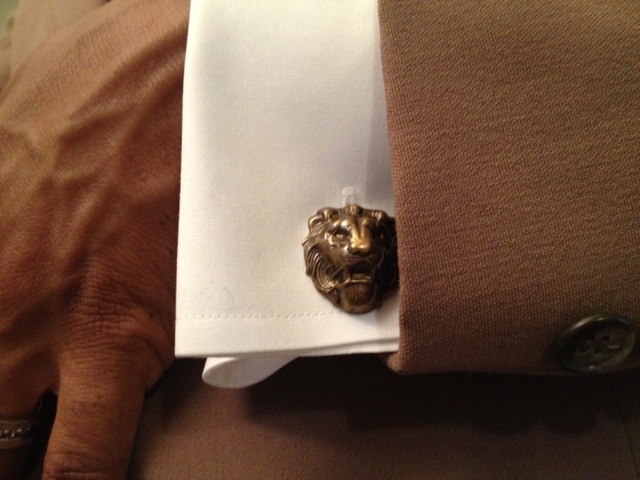 Brass lion head cufflinks are from CosmicFireFly.com. 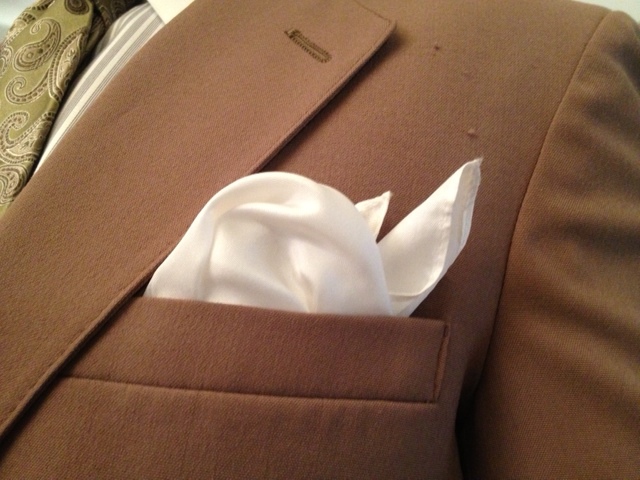 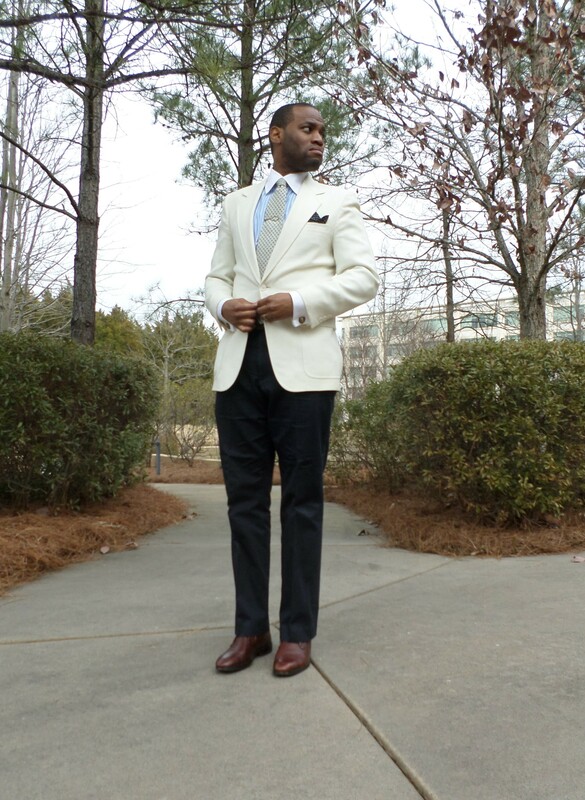 Tan sport coat that features notch lapels, patch pockets, two button closure, side vents, and partial interior lining is a thrifting find. 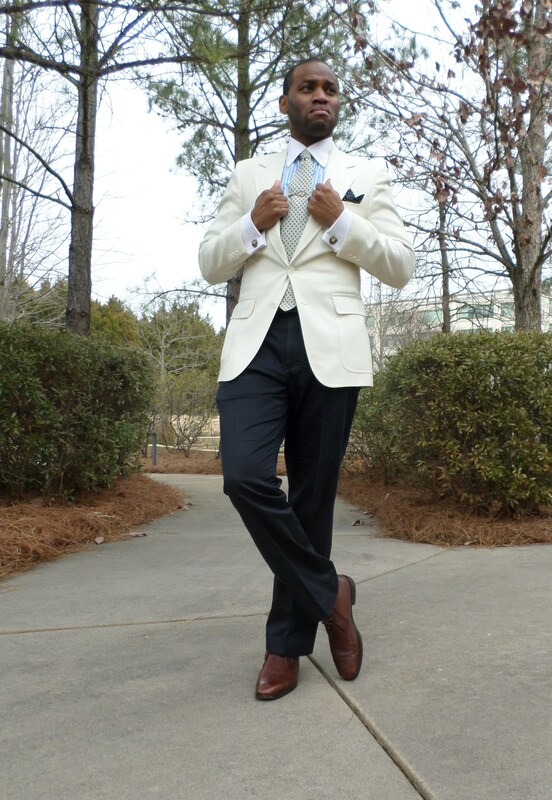 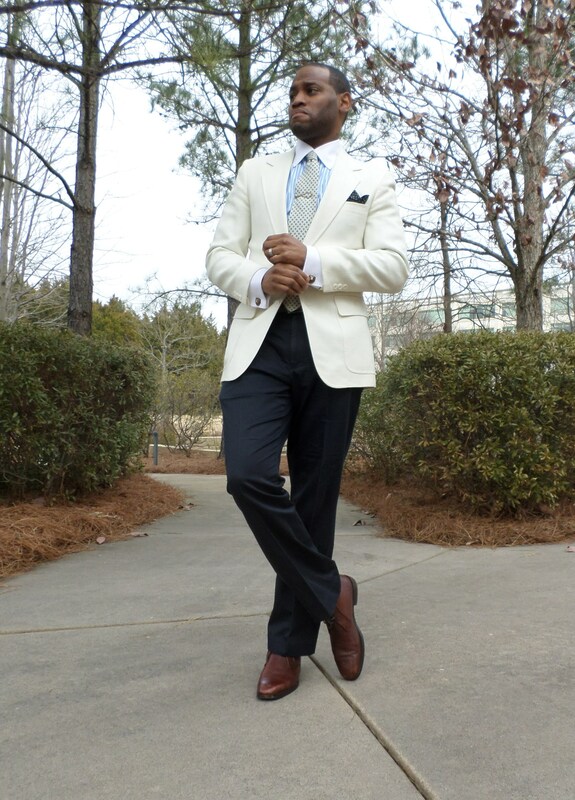 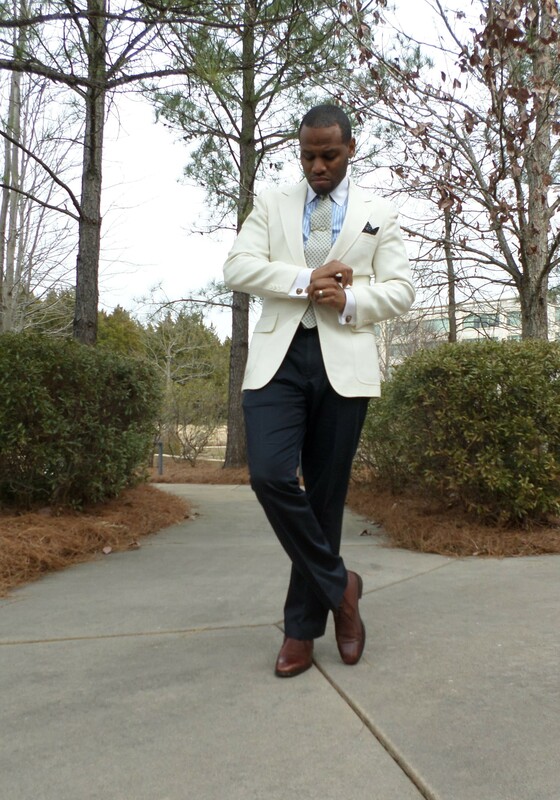 White flat front trousers are by Ralph Lauren.